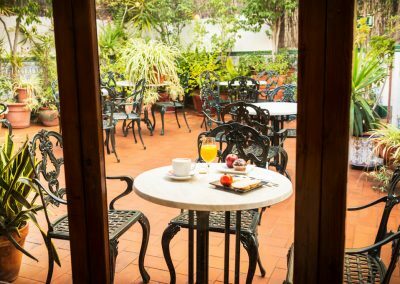 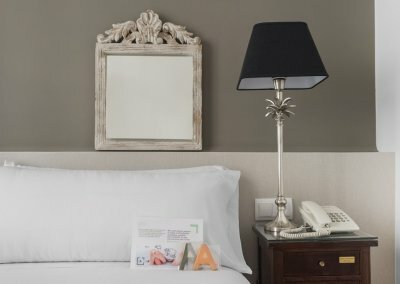 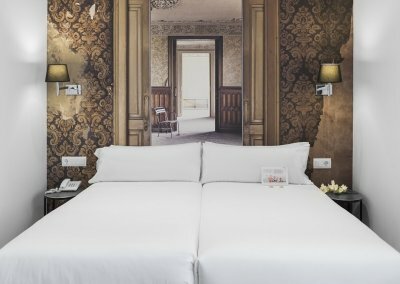 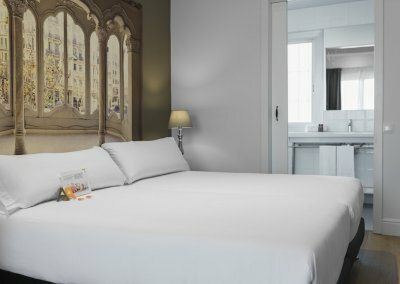 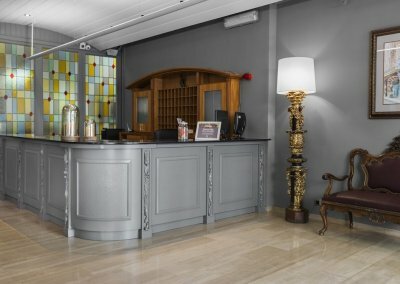 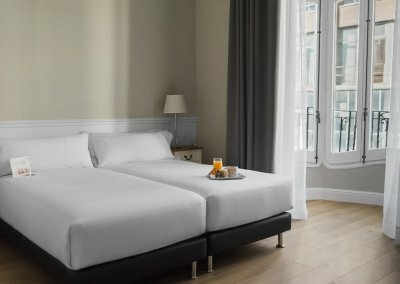 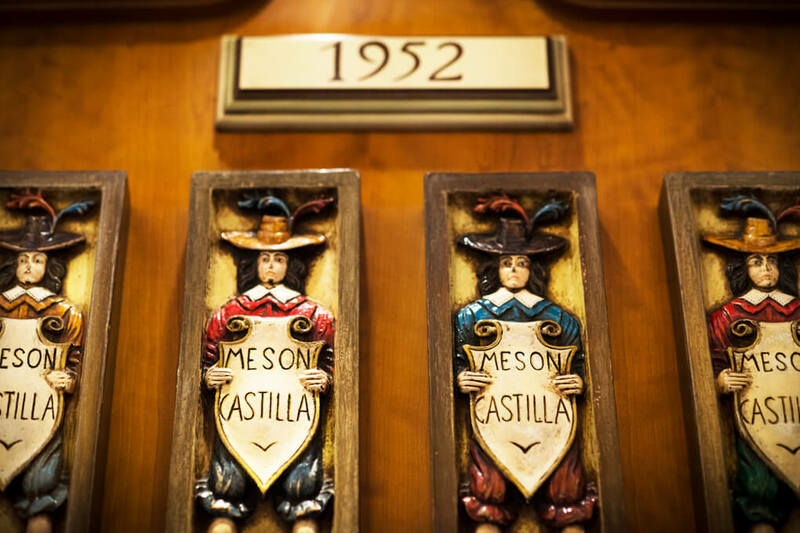 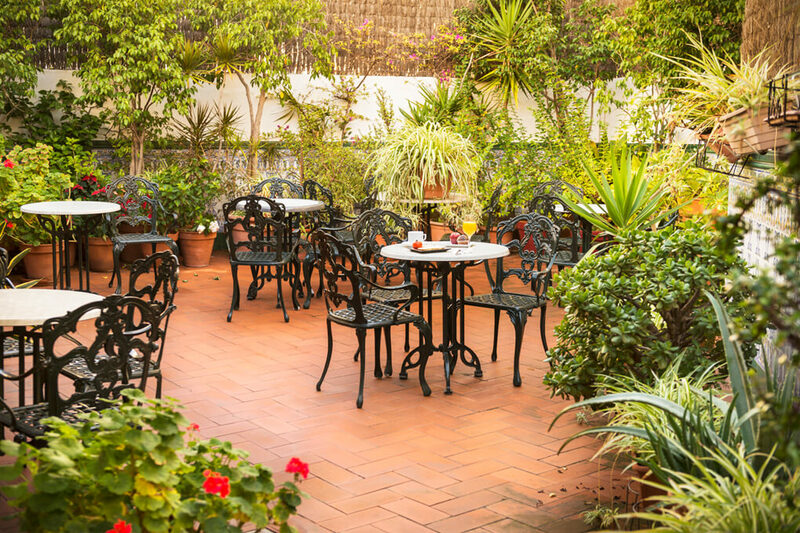 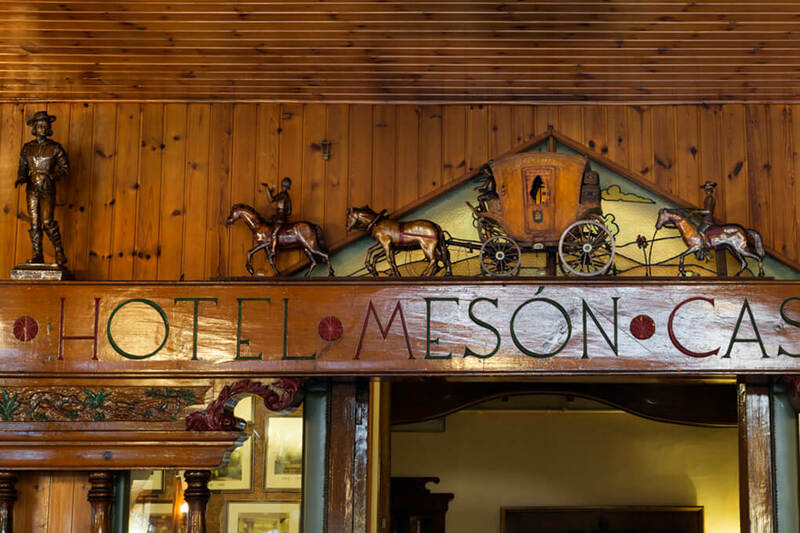 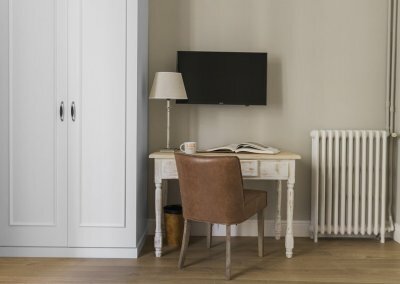 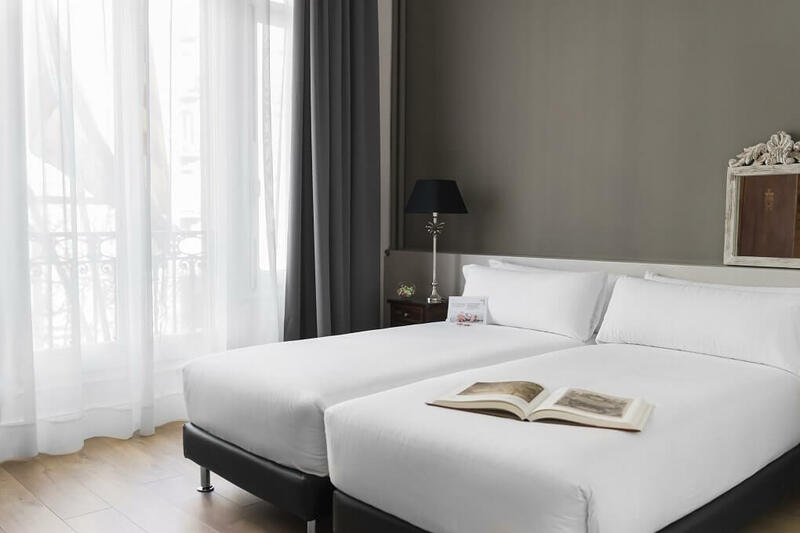 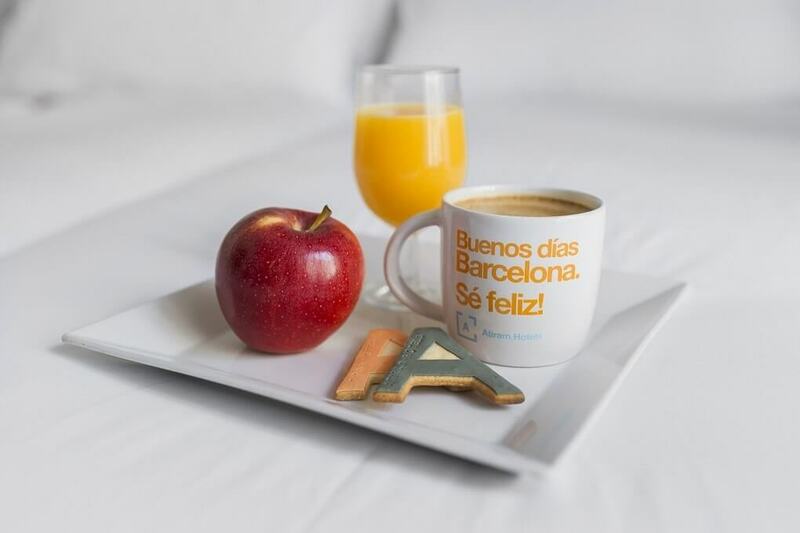 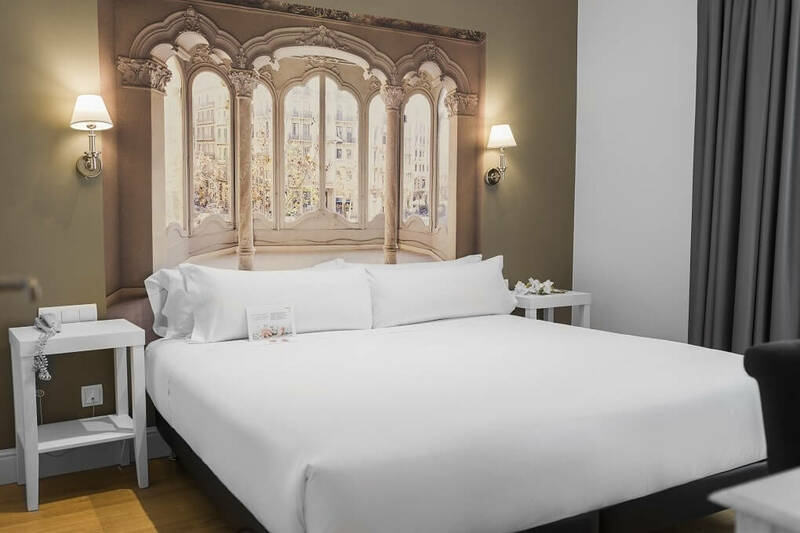 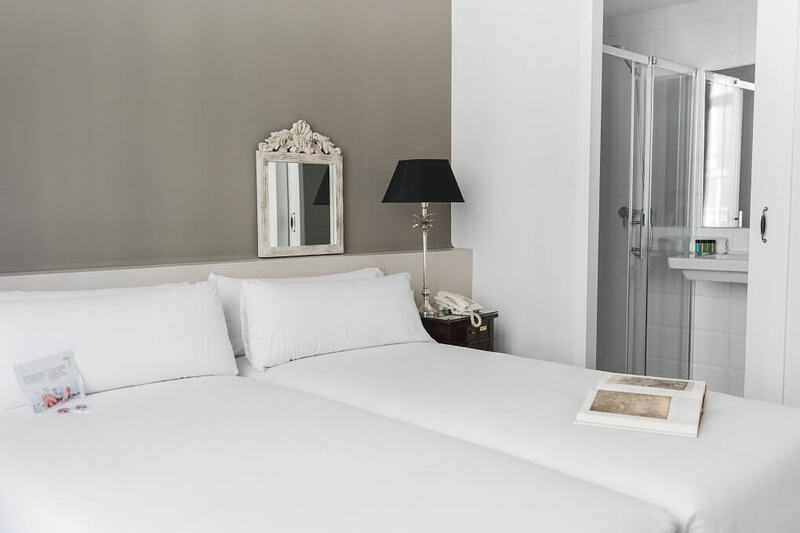 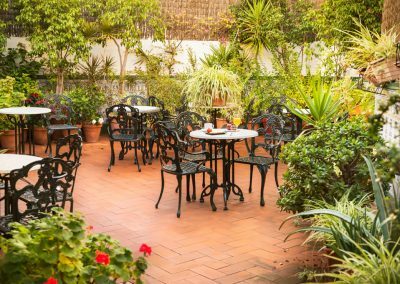 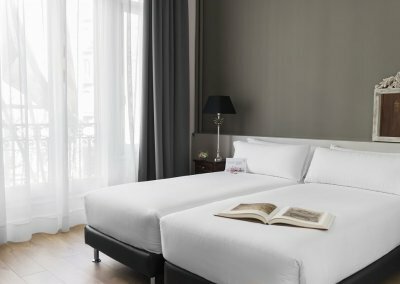 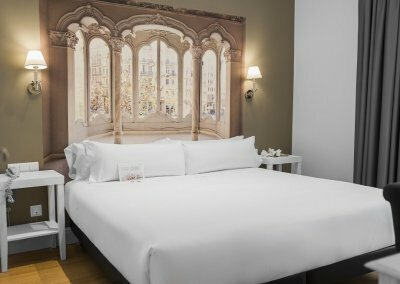 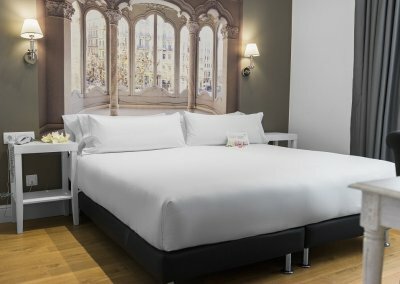 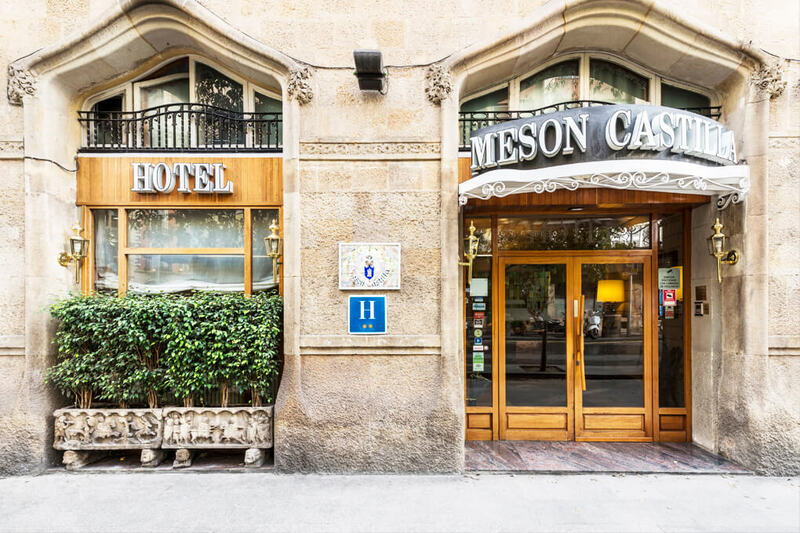 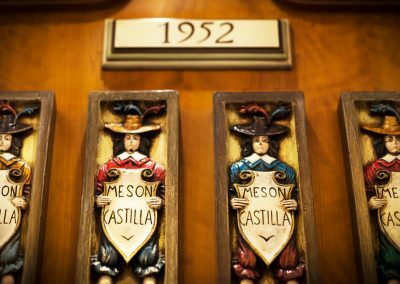 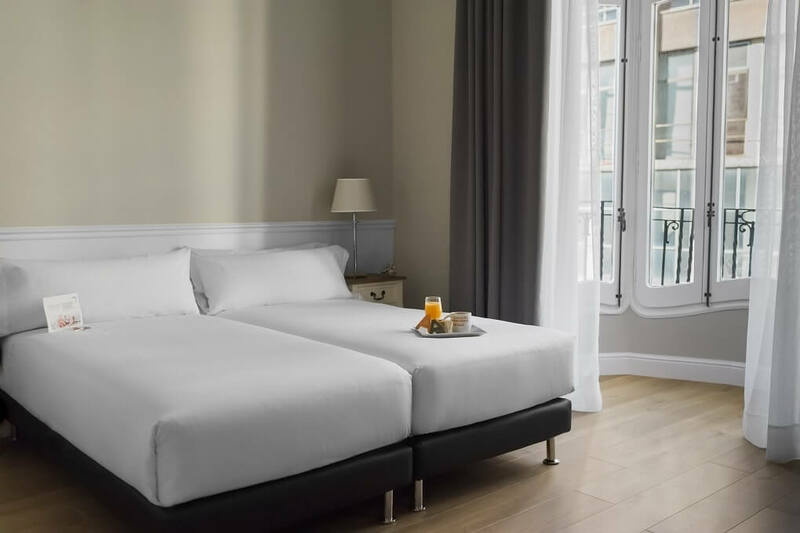 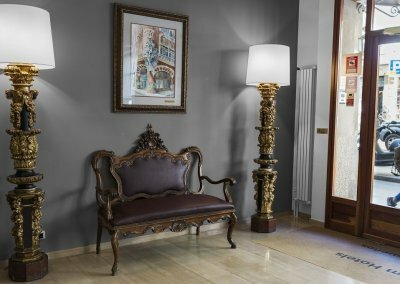 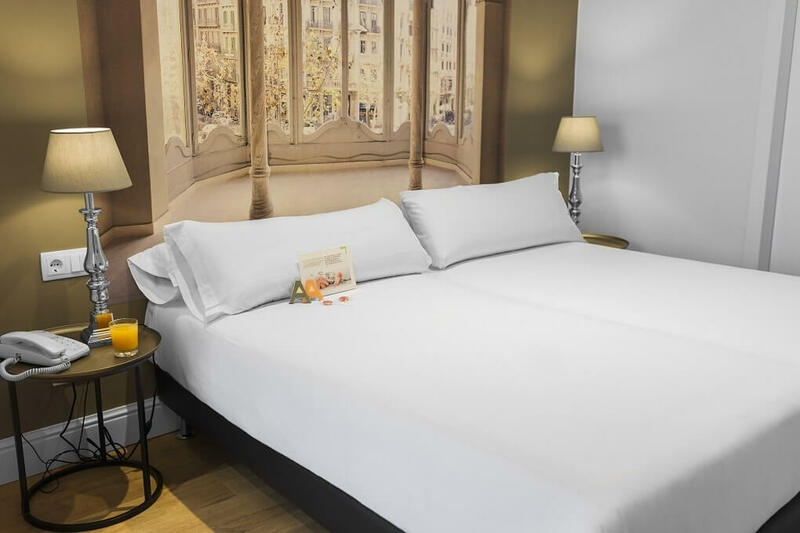 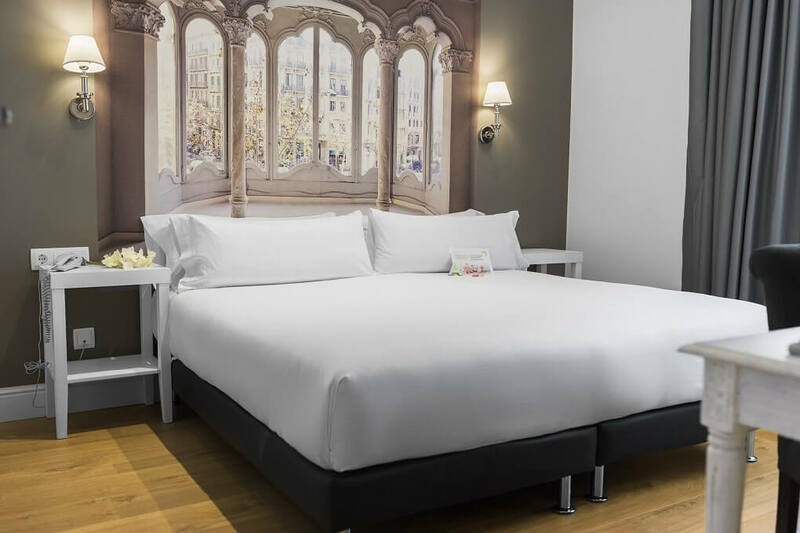 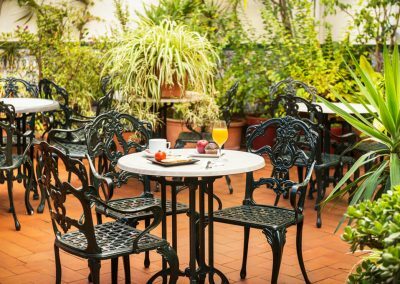 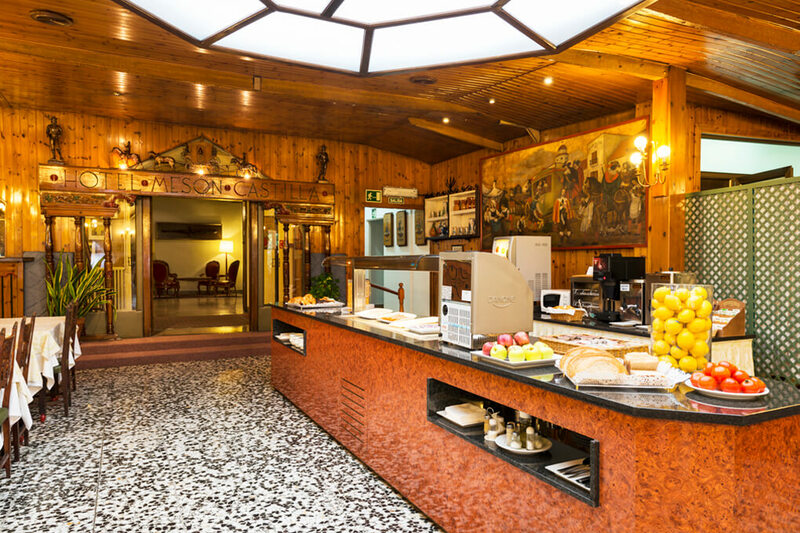 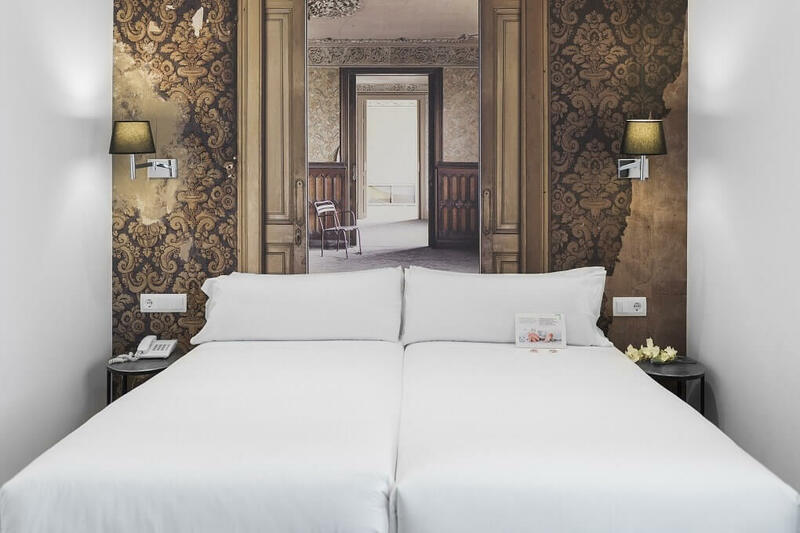 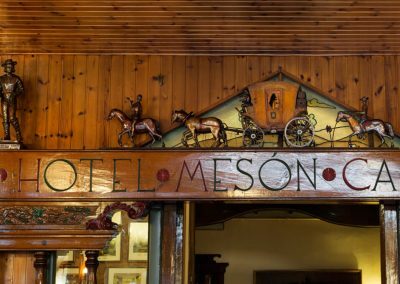 Hotel Meson Castilla is located in the heart of the Gothic Quarter, just 100 meters from the Ramblas of Barcelona, next to Plaza Catalunya and the famous Boqueria market, 5 minutes from Liceo Metro Station and less than 500 meters from Port Vell of Barcelona. 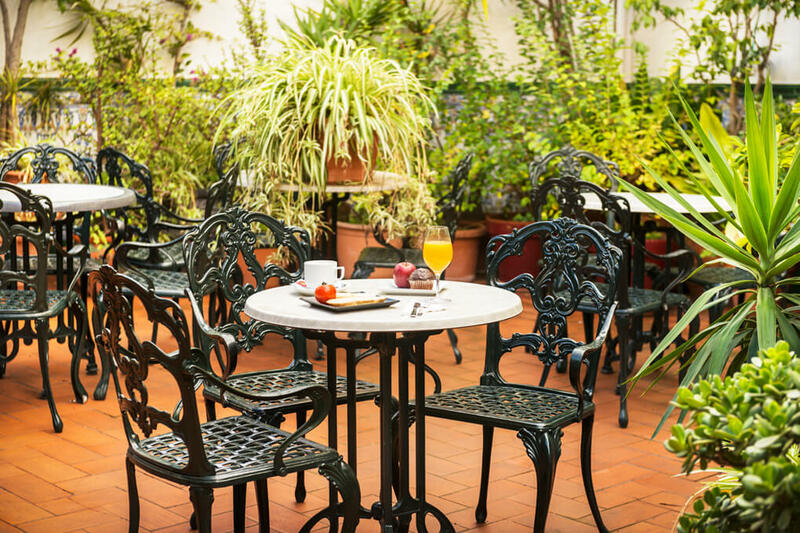 It offers free Wi-Fi for their clients and a nice patio where you can have breakfast. 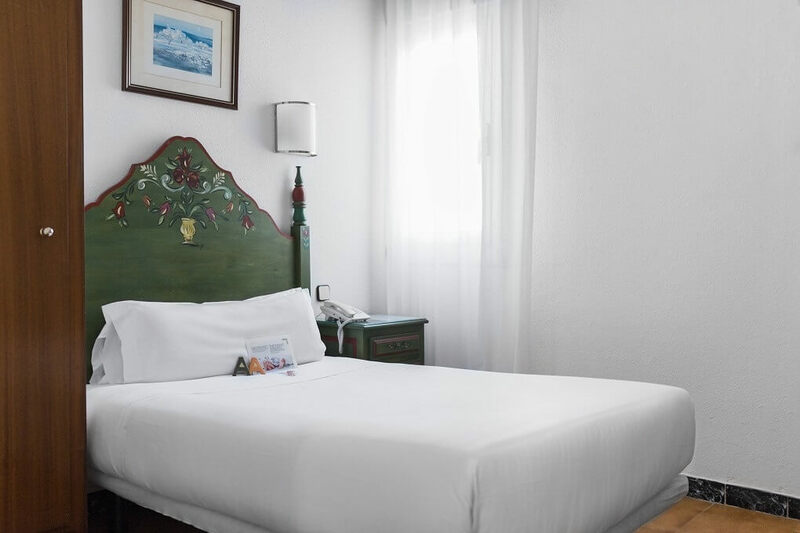 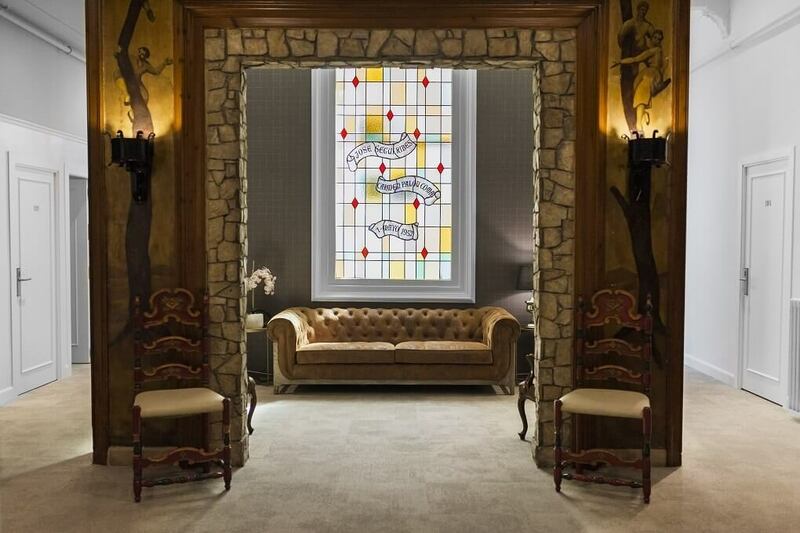 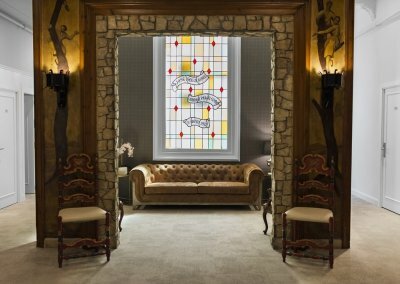 The hotel has 57 comfortable rooms, highlighting the decoration of the bed heads. 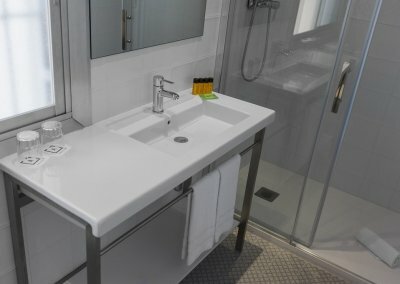 All are equipped with air conditioning and private bathroom. 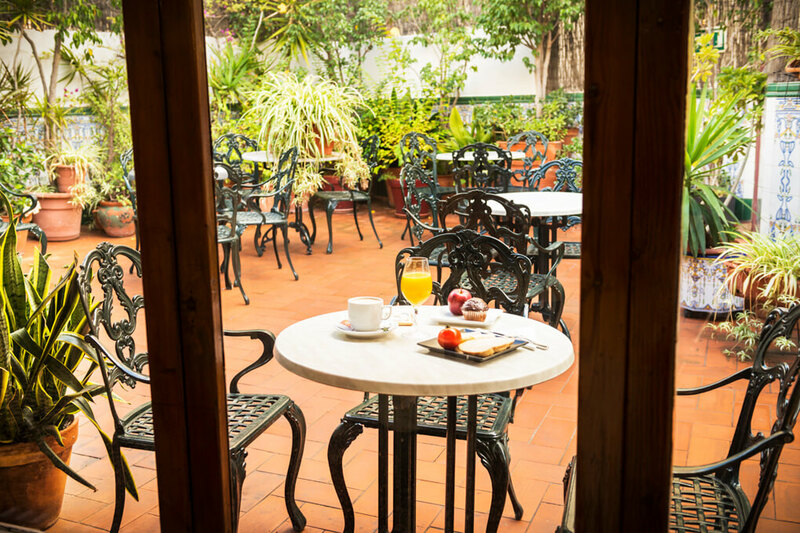 Some also have private balcony, from where you can feel the fantastic atmosphere and picturesque Gothic quarter. 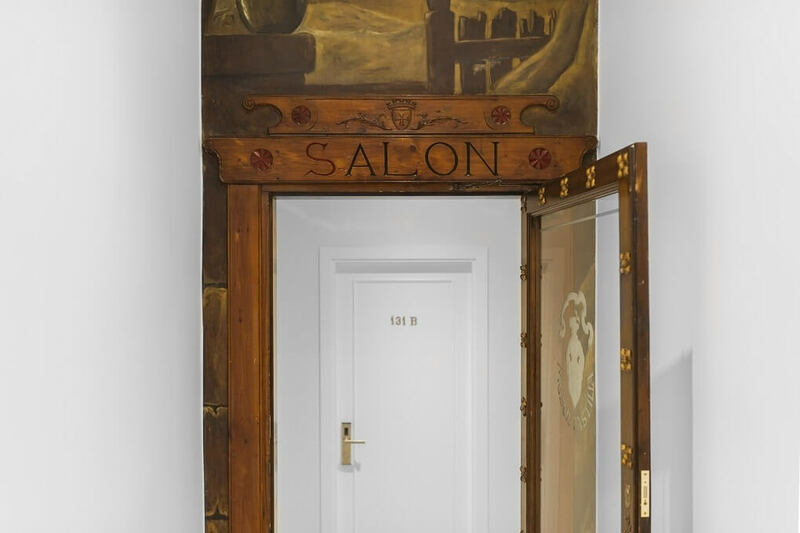 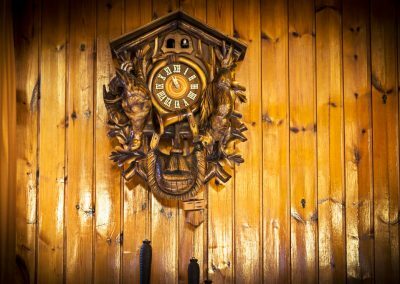 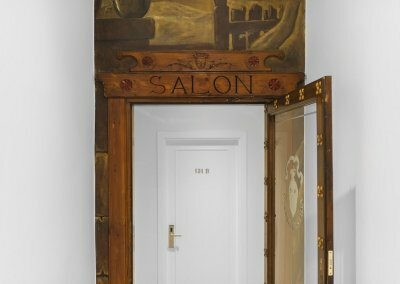 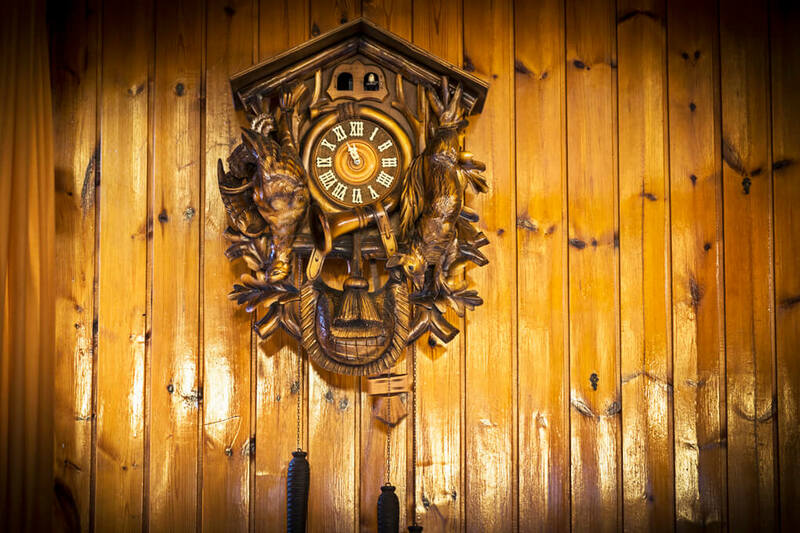 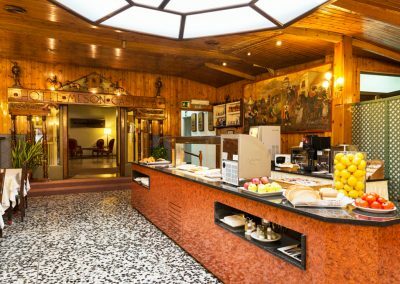 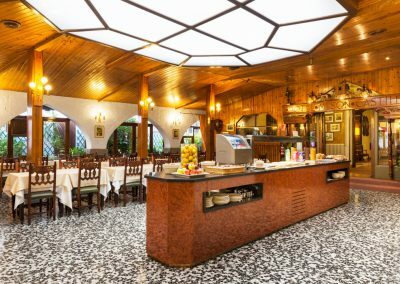 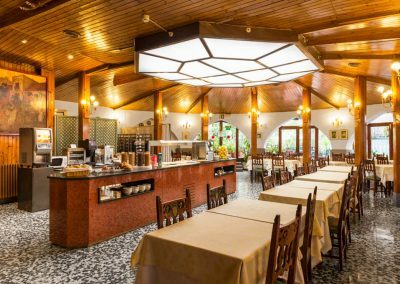 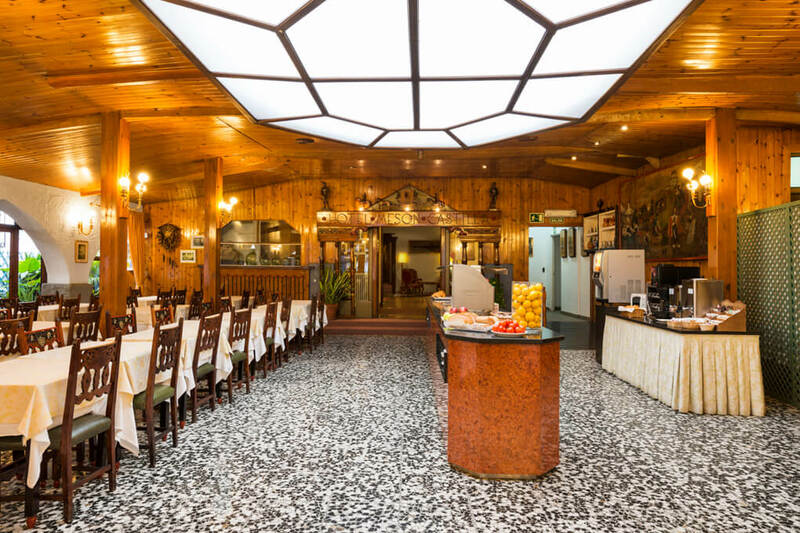 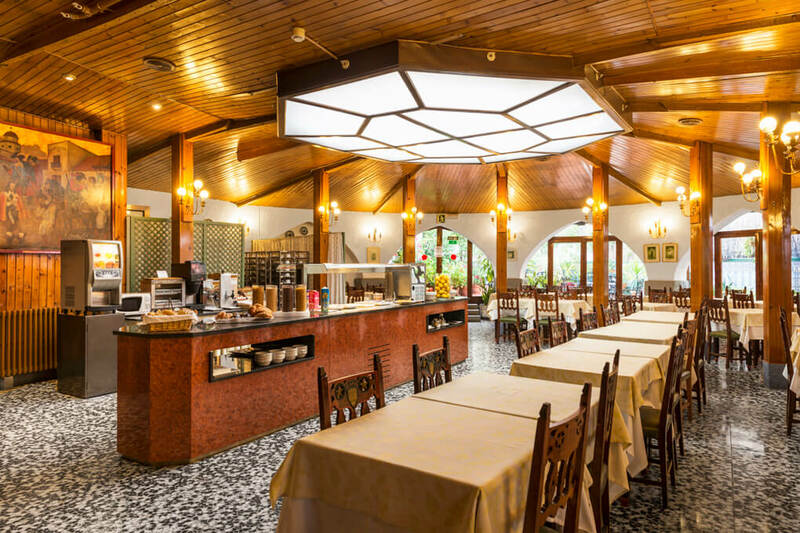 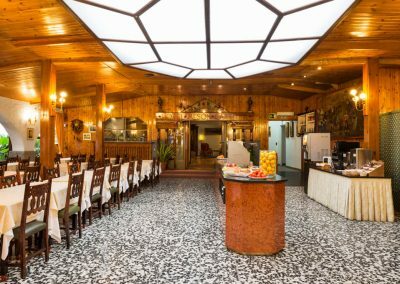 The cozy family hotel format makes it an establishment with great charm, where guests enjoy the closed and personalized service typical of small hotels. 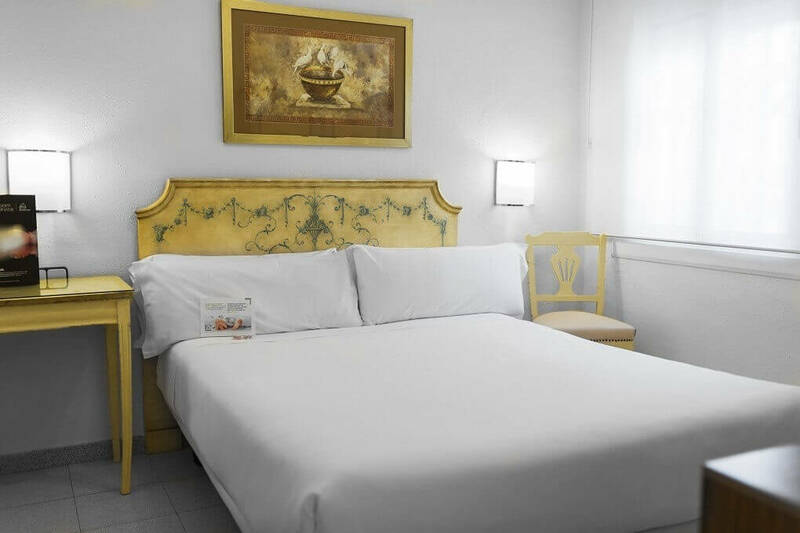 Fully renovated room, spacious and comfortable room where you will not miss any detail. 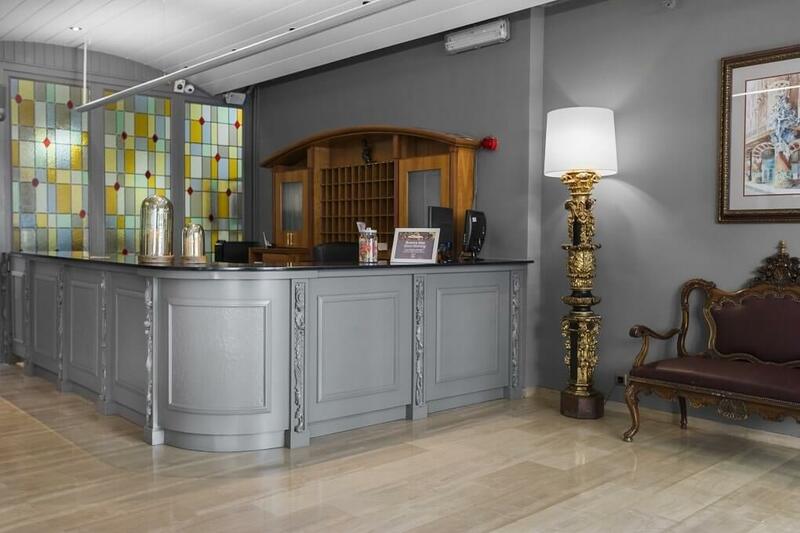 Amenities: Coffee maker, special toiletries, TV, telephone, heating, hair dryer, desk, free wifi, and other services. 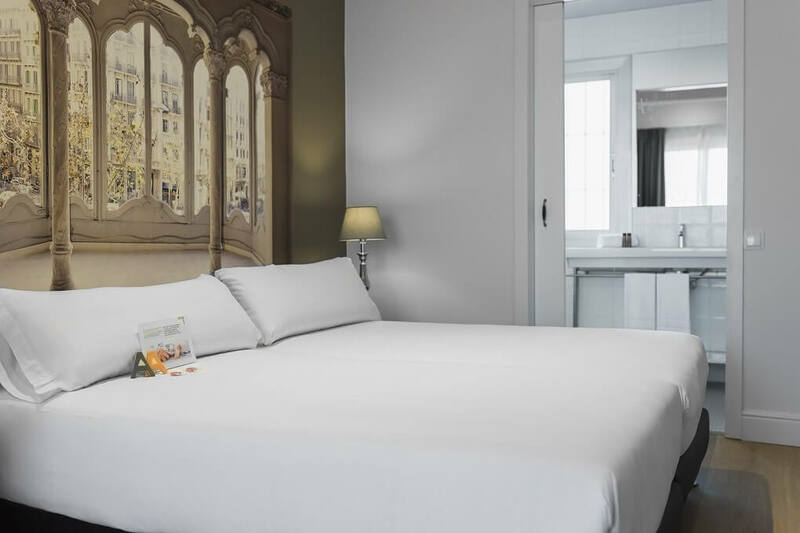 A spacious and comfortable room in which there is no lack of detail.  Services: Exclusive amenities, television, telephone, heating, hair dryer, desk, free wifi, among other services. 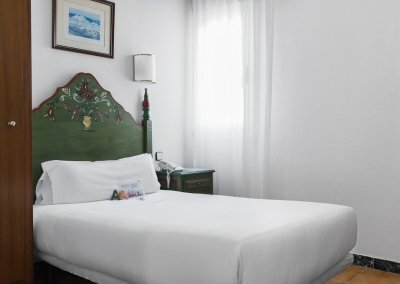 Room with two beds, spacious and comfortable room where you will not miss any detail. 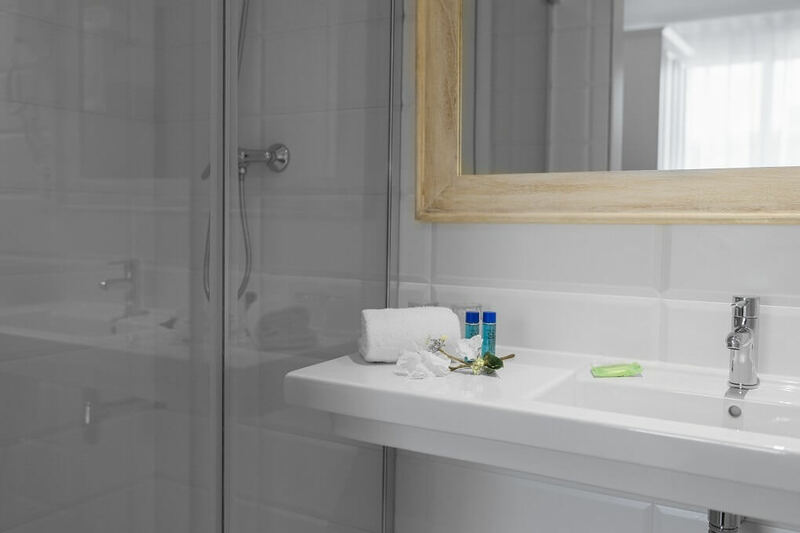 Amenities: Special toiletries, TV, telephone, heating, hair dryer, desk, free wifi, and other services. 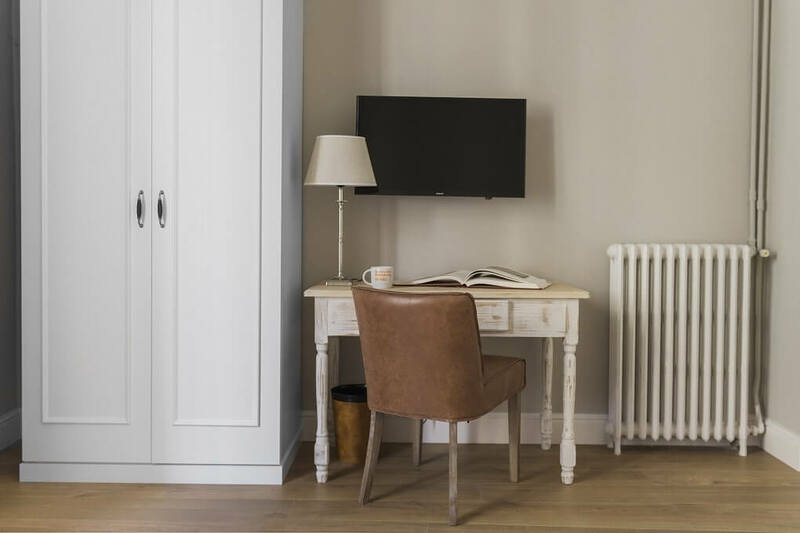 A cozy space offers a practical and elegant decoration. 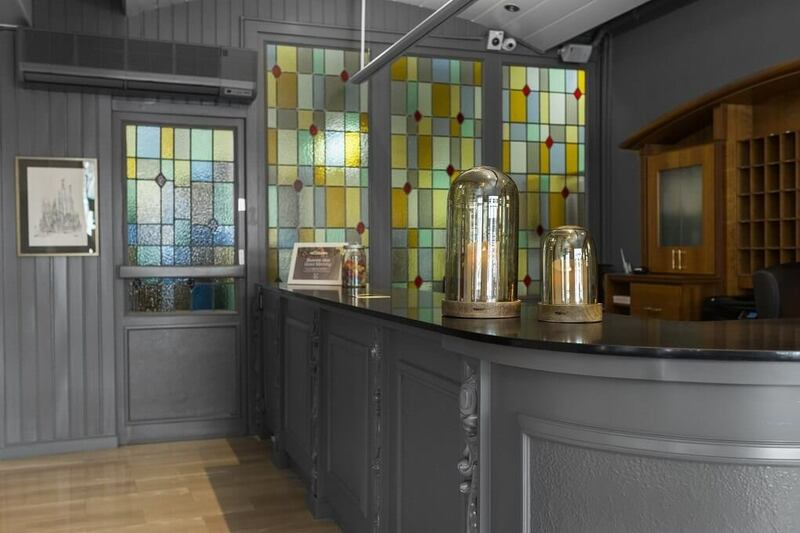 Amenities: Special toiletries, TV, telephone, heating, hair dryer, desk, free wifi, and other services. 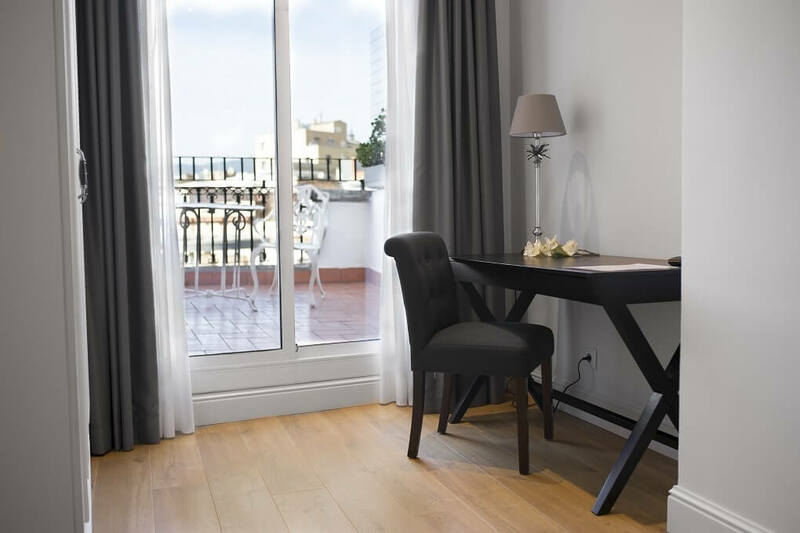 Room with balcony, fully renovated. 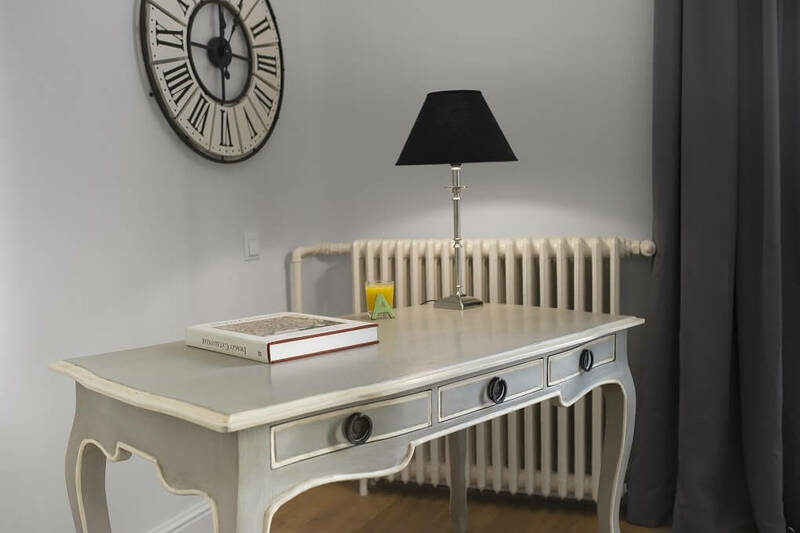 A cozy space offers a modern and elegant decoration. 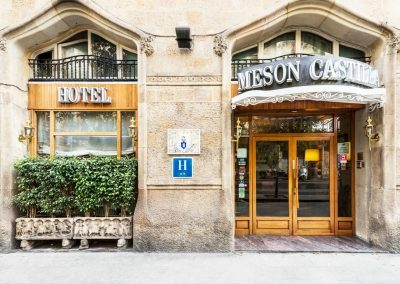 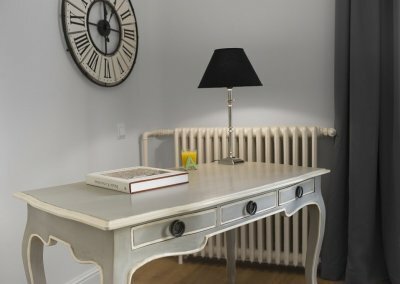 Amenities: free mini bar, Coffee maker, special toiletries, TV, telephone, heating, hair dryer, desk, free wifi, and other services. 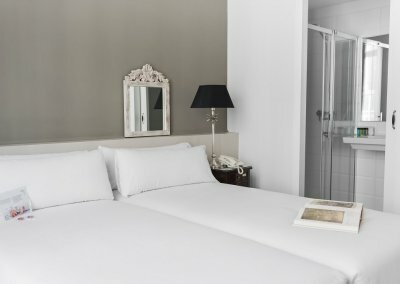 Double room with extra bed, where we seek the maximum comfort for your whole family. 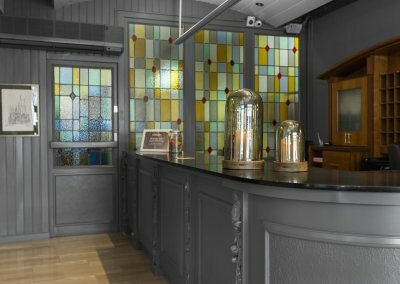 Amenities: Special toiletries, TV, telephone, heating, hair dryer, desk, free wifi, and other services. Family room for 4 persons with large dimensions, where we search the maximum comfort for you and your whole family. 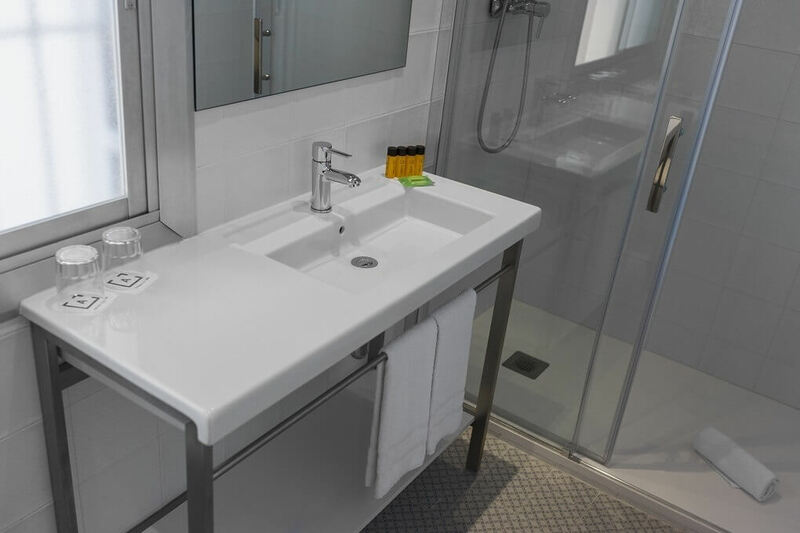 Amenities: Special toiletries, TV, telephone, heating, hair dryer, desk, free wifi, and other services.